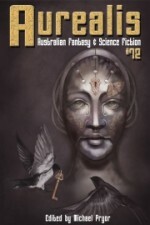 Aurealis #112 has a feast of tasty fiction—Michael Gardner’s juicy piece of Australian Gothic with ‘The Offering,’ Andi C Buchanan’s evocative offworld dream, ‘Under This Strange Sky’ and Russell Hemmell’s powerful yet nuanced ‘The Eobshin Song.’ Our absorbing non-fiction includes ‘The Guardian: a Tale by an Australian’ from Gillian Polack and the first part of a landmark interview with Fantasy giant, Raymond E Feist by Chris Large. 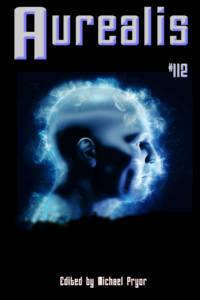 With our stunning internal artwork and our lively and comprehensive reviews, Aurealis #112 raises the spec fic bar yet again. Michael Gardner is a public servant living in Canberra, Australia with his wife and two kids. He grew up in a small country town in Australia, which has since become a favourite setting for his horror and contemporary fantasy short stories. His work has been published in the anthology Reading 5X5: Writers’ Edition, Metaphorosis Magazine, The Colored Lens and The Society of Misfit Stories. Russell Hemmell is a statistician and social scientist from the U.K, passionate about astrophysics and speculative fiction. Recent stories in New Myths, Not One of Us, Third Flatiron, and others. Finalist in The Canopus 100 Year Starship Awards 2016-2017. Find her at earthianhivemind.net or on Twitter @SPBianchini. Fantasy and Science Fiction are the best for a number of reasons. For a start, Fantasy and Science Fiction are the most challenging forms of writing to undertake. Fantasy and SF writers have to do everything that other writers do, like have convincing, multi-dimensional characters and engaging, lucid prose PLUS incorporate all the imaginative elements that are the hallmark of Fantasy and Science Fiction. Then they have to deal with the consequences of this, making sure they don’t fall foul of inconsistencies because of the scenario they set up at the beginning of their story. Fantasy and Science Fiction writers simply juggle more balls at the one time than other writers. Also Fantasy and Science Fiction writers are the best because they get to deal with profundities. Fantasy and SF are the Literature of the Profound. Writers who spend their times documenting the trials of everyday life don’t have the opportunity to grapple with the philosophical questions that have intrigued us all since the dawn of time. Who are we? What are we? Where did we come from? What makes us what we are? These fundamentals about our existence are meat and drink to Fantasy and SF writers as they imagine other worlds where Normal Rules Do Not Apply. Situations like this give them ample room to explore what it means to be human or the basis of moral choice or the place of aesthetics in our society. Time to pluck an example. 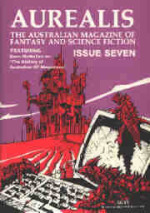 We can’t imagine a mainstream novelist producing a work that examines the Sapir-Whorf Hypothesis of the interaction between language, culture and cognitive abilities, but that’s just what Jack Vance did in his 1958 novel The Languages of Pao by positing ruthless overlords who created a global experiment to test how imposition of languages could shape various societies into ultimate warriors, consummate merchants or brilliant scientists. Not only did Vance explore this fascinating possibility, but he embedded this speculation in a rattling good yarn. One example, decidedly non-random, but our point is that Fantasy and Science Fiction don’t just allow exploring such matters, they actually enable this exploration. This is because one of the strengths of these related genres is their limitlessness. 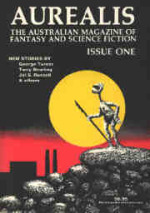 Nothing is out of bounds for a Fantasy or SF writer to speculate about. In fact, any hint of boundaries prompts Fantasy and SF writers to wonder what lies on the other side. They imagine. They create. It helps, of course, that Fantasy and SF writers have the best readers in the world. That isn’t blatant sucking-up, either, even though it might sound like it. Whenever Fantasy or SF readers open a new book, they know that that they have to be on their toes, that they have to do some work. In this book, things will be different—and they have to read carefully to understand the world, the society, the magic system or the political milieu that the writer has created. Fantasy and SF readers are ready for this, and they rise to the challenge. This of course, is the reason why one hears, so often, from non-genre readers who say about Fantasy and Science Fiction: ‘I couldn’t get into this.’ This is because they’ve become weak and flabby, unable to work even a little bit hard. Their reading antennae have been dulled by years of reading mainstream novels where they can take the setting for granted—and not be worried about having to keep up with anything as grubby as an actual plot. 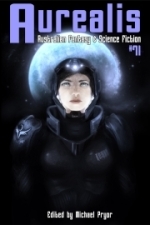 Fantasy and Science Fiction readers work hard and are prepared to work hard. They know this is part of the unspoken pact they have with the writer of the book they have in their hands. They rise to the challenge of new worlds, new cultures, new social structures and new biologies because they understand the joy that comes of participating in such reading. Writers and readers. They’re what make Fantasy and Science Fiction great. I stood at the edge of the dam holding a small esky, surveying the dark water in which Tommy had disappeared six months ago. It was the first time I’d been back since that night and my stomach felt heavy and empty at once. Harness around my waist, saw in my hand, feet propelling me up the tree. Metal leg, flesh leg. Different sounds, but in a rhythm now. Eyes fixed firmly on the gnarled blue trunk. Scars from plasma burns across my face, always across my face. Strange sky above me, peeking through in patches, pink fading to green, streaked with black shadows. They say the Stellarium is the best place for a murder. I can see why: in the blue-lit glittering alleys as much as in the creature-packed subterranean vaults, the distinction between friends and foes blurs away, and shadows rule sovereign. All forms of life are permitted within those porous but effective borders, in a rare exception to the law—automata and DNA-based species, horrid monsters and beautifully limbed organisms, human and not. Everybody is allowed in, not everybody manages out. And yet, I must disagree. 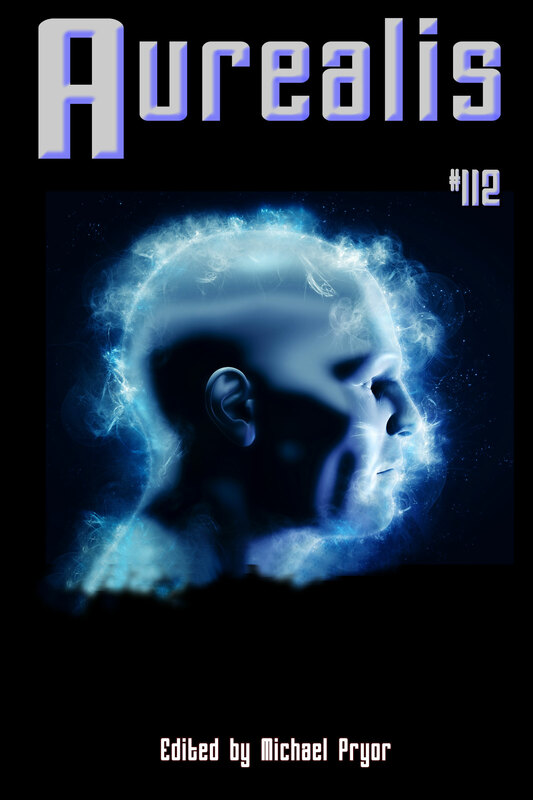 Welcome to Aurealis, Raymond. How are you doing? Really? I don’t know whether that’s good or bad. Actually, it’s very good. Like a lot of men my age, I was in denial about my hearing, so I got myself to an audiologist on Monday and was fitted with a hi-tech hearing aid. So now I can hear you perfectly. Who was Anna Maria Bunn and why is she so important? Why does the National Library of Australia keep photocopies of letters, press cuttings and even recipes by her? And how does a place she lived in as an adult create a narrative parallel to a particular kind of Young Adult SF story?